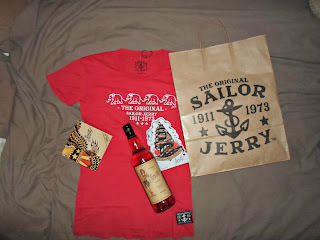 I'm not one to turn down a competition to win some goodies, especially if the goodies come in the form of Sailor Jerry rum. 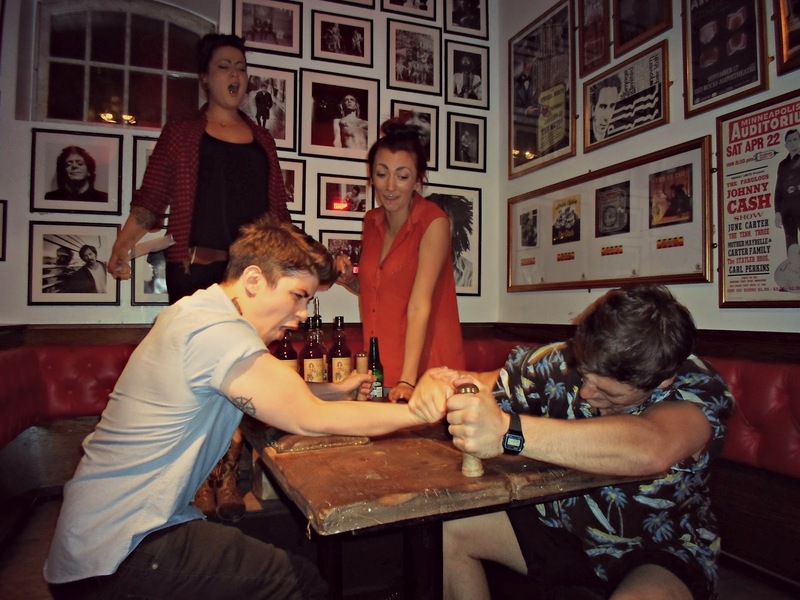 There was an advert up at work to represent your bar at an arm wrestling competition at Mojo Liverpool so I thought I'd give it a shot. I've been hitting the gym recently so I thought I'd be pretty good at it - that was until I met the all-powerful Karen with her arms of steel! 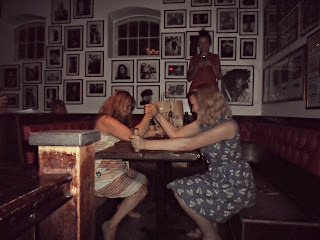 There was a good few pairs of lads to battle it out but the lasses were few on the ground, but we held our ground and put up a fair fight! 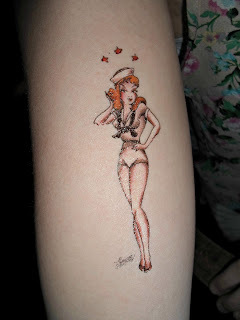 We started the night slapping some temporary Sailor Jerry tattoos on ourselves - the Mojo lads looked amazing with anchors, roses and pin up girls all up their arms and necks. I really like mine! 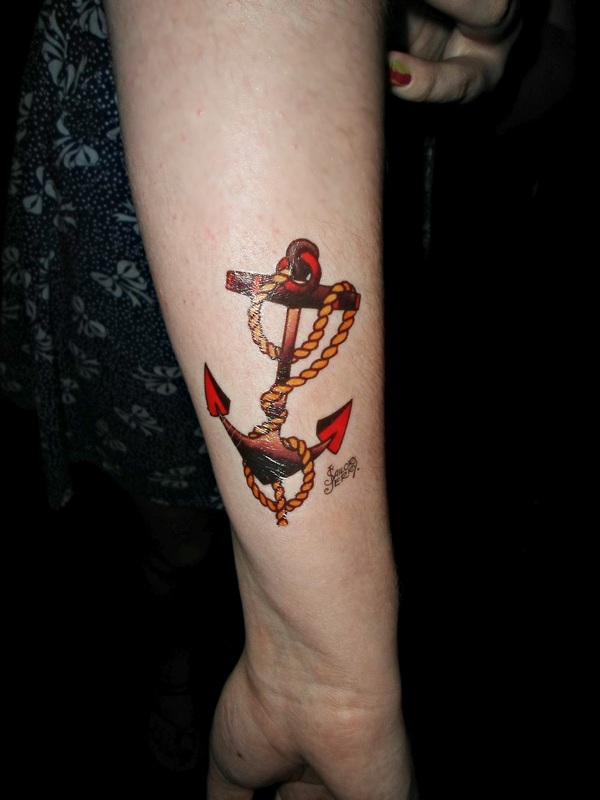 Perhaps a smaller version for real? Ash from Aloha also got knocked out in the first round, but Kieran kept it up for the tiki crew, winning the boy's round for the bar! 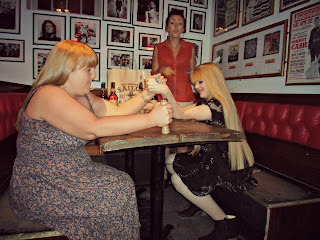 Me in action. I have seriously never met a stronger woman than Karen! 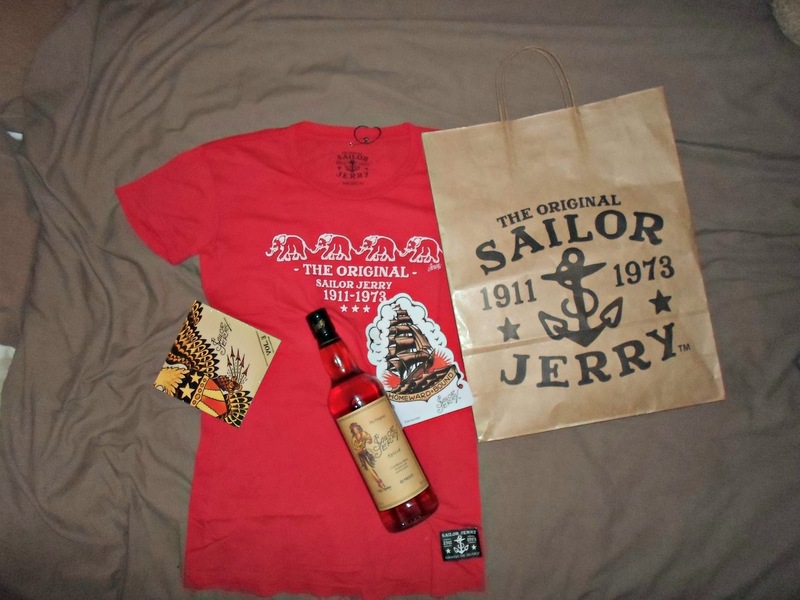 Now, although I went out early, the lovely Karen said I put up such a fight she very, very kindly donated some of her prizes to me, including a delicious bottle of Sailor Jerry rum, a Sailor Jerry t-shirt, a CD (which I've yet to listen to), some stickers and a pack of cards (which I gave to Heather for our house next year). 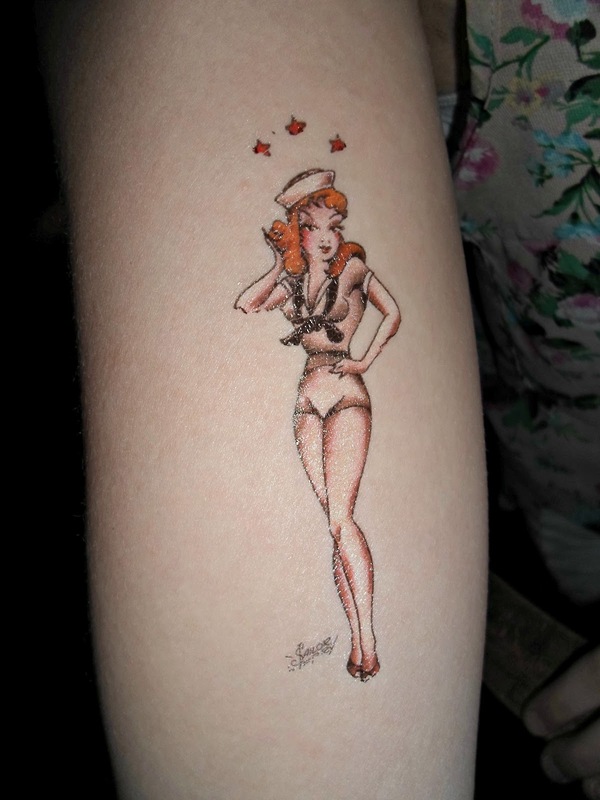 So, I would like to take this opportunity to thank the gorgeous Sailor Jerry team (Emma-Li, Scarlett and Karen) and to Mojo for giving me such a lovely evening! Hopefully there'll be another one in the future! Sorry I didn't make it down. I'm more than positive however that I would have gone out straight away. Where does Karen work? Well done Kieran nice touch with the tiki shirt!